Please accept my blessings. 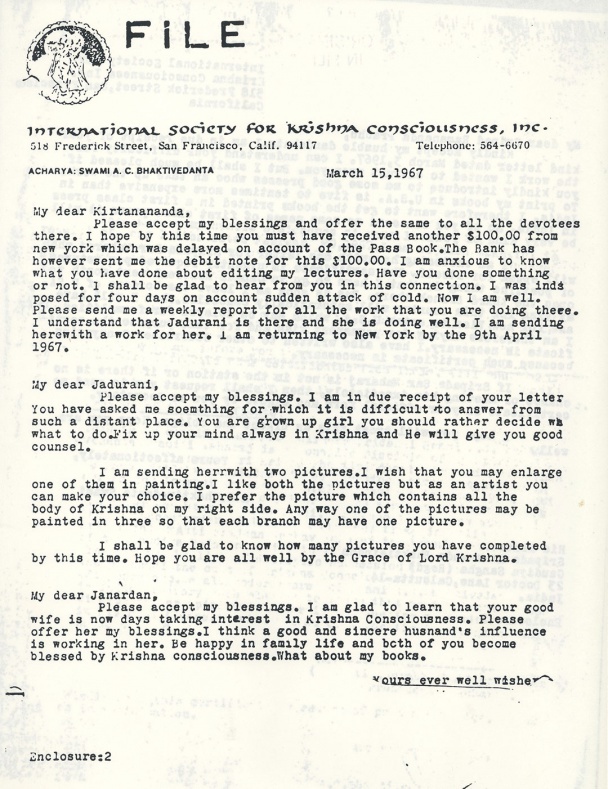 I am glad to learn that your good wife is now days taking interest in Krishna Consciousness. Please offer her my blessings. I think a good and sincere husband's influence is working in her. Be happy in family life and both of you become blessed by Krishna consciousness. What about my books.